Welcome to Hostel Blue Planet, We offer the best accommodation in Paris with unbeatable prices. Our hostel in Paris is very convenient for backpackers within walking distance from 2 train stations, Gare de Lyon, Bastille and other nice neighborhoods. Newly renovated with a colorful personality, many of our rooms now have hot showers and toilettes for no extra charge. There are hot showers and toilet on each floor. Very Important - Sheets are not provided but are available for rental at a price of 2. 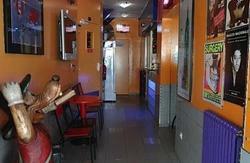 Looking for hostels Paris, you have reached the right hostel in place. BUS NUMBER 91 , 61 , 20 , 63 ,65, 61, 24 ,63 , 91 .